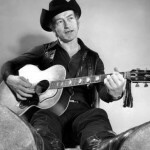 Thomas Charles “Stompin’ Tom” Connors – (February 9, 1936 – March 6, 2013) was one of Canada’s most prolific and well-known country and folk singer-songwriters. Focusing his career exclusively on his native Canada, Connors is credited with writing more than 300 songs and has released four dozen albums, with total sales of nearly 4 million copies. Connors died at age 77 in his home in Ballinafad, Ontario on March 6, 2013, of renal failure. 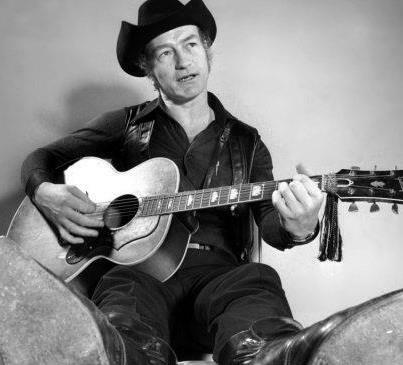 Stompin’ Tom Connors is survived by his wife, Lena, four children and several grandchildren. His songs have become part of the Canadian cultural landscape. Three of his best-known songs — Sudbury Saturday Night, Bud the Spud and The Hockey Song — play at every home game of the Toronto Maple Leafs hockey team. The Hockey Song is played at games throughout the National Hockey League.